A seminar on changes in CLE and registration rules, including Proactive Management-Based Regulation (PMBR). 1 hour CLE credit pending, lunch provided. 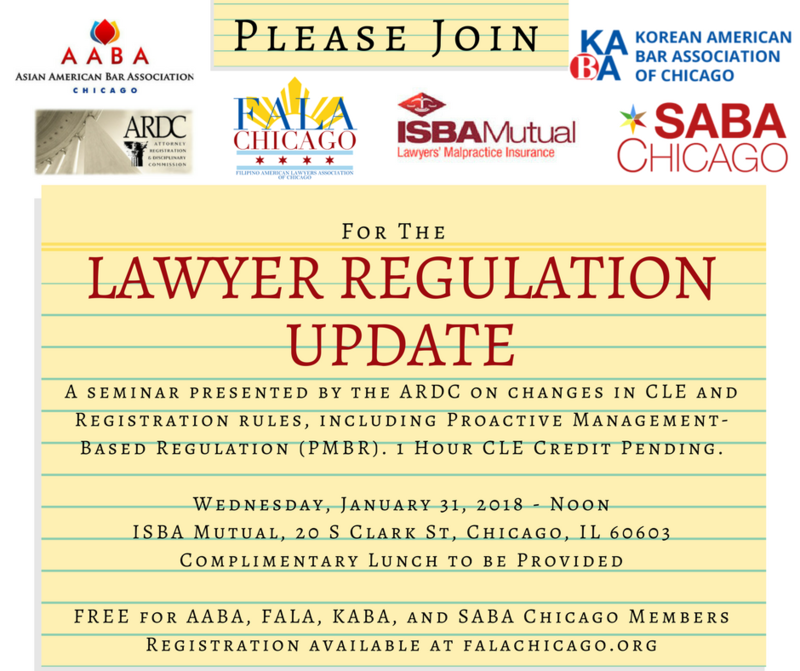 FREE for members of the Filipino American Lawyers Association (FALA), Asian American Bar Association (AABA), Korean American Bar Association (KABA), and South Asian Bar Association (SABA). General admission is $25.